This evening the 33rd Annual Speedway Motors WISSOTA 100 fires off for the first time from the I-94 Speedway in Fergus Falls, Minnesota. 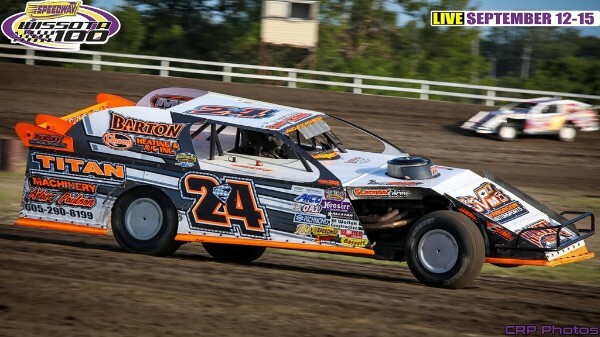 In excess of 300 cars are expected to compete throughout the course of the four day blockbuster event, including 62 Modifieds, 85 Midwest Mods and 37 Late Models just here this evening. This evenings action includes heat races and features in the Late Models, Modifieds, Midwest Mods, Street Stocks and Super Stocks. Tonight's top feature finishers will comprise the inside row for Saturday's championship features.